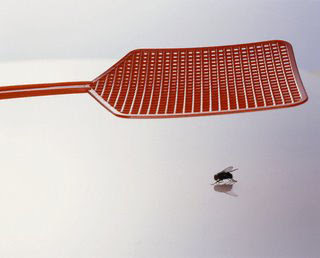 Researchers in the US say that they have solved the mystery of why flies are so hard to swat. They think the fly's ability to dodge being hit is due to its fast acting brain and an ability to plan ahead. High speed, high resolution video recordings revealed the insects quickly work out where a threat is coming from and prepare an escape route. The research suggests that the best way of swatting a fly is to creep up slowly and aim ahead of its location.